An Italian bookseller has come up with a novel way to promote recycling. Michele Gentile, who owns Ex Libris Cafe in southern Italy, is giving away free books to children in exchange for plastic bottles and aluminum cans. Michele Gentile said he thought of the recycling program, because he wanted to inspire children in the small town of Polla to read and pay attention to the environment. To that end, his book giveaway is offered to school kids who donate one aluminum can and a plastic bottle to his shop. “My goal is to spread the passion and love for books among those people in Italy who do not usually read while at the time helping the environment,” Gentile explained. The idea for the initiative came after Gentile collaborated with a nearby middle school on an aluminum recycling project. Working together, the schoolchildren and Gentile collected enough cans to purchase books for an entire classroom. His new program took off from there and has already spread into northern Italy. Gentile hopes his work will continue to make headlines and become a worldwide initiative. The free books come from customers in Gentile’s shop who have donated money to purchase a “suspended” book. The idea stems from a World War II practice in which customers would buy two coffees: one for themselves and another for the next person in line. 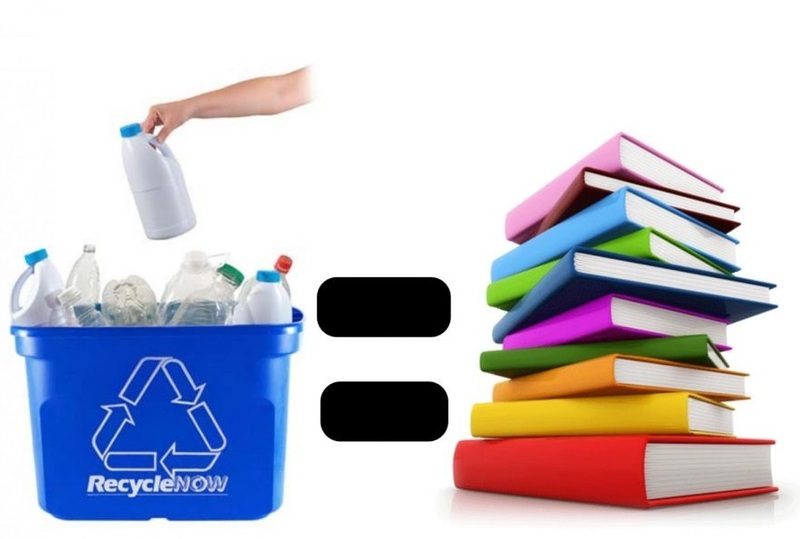 Gentile has been using the extra books as part of his recycling initiative. While Gentile’s program is a great way to recycle and get kids to read, it also brings awareness to the growing problem of plastic waste. Single-use plastics make up around 26 percent of all the plastics in the world, only 14 percent of which are recycled. Plastics that end up in landfills take around 500 years to decompose, posing a major concern for environmentalists. Cutting down on plastic waste is important if we want to better the environment for future generations, and recycling programs like Gentile’s book giveaway are a great way to meet that goal.